This is a long overdue post and cliché as it may sound, better late than never. Blame it to flu, I know these germs been bugging me for days already and I’ve been playing deaf and mute of its existence inside me, until shortly after the awards night, it hit me like a thunderbolt and walla! I’m down to bed for days; I’m feeling fine now after lemon and honey therapy – very effective I must say. 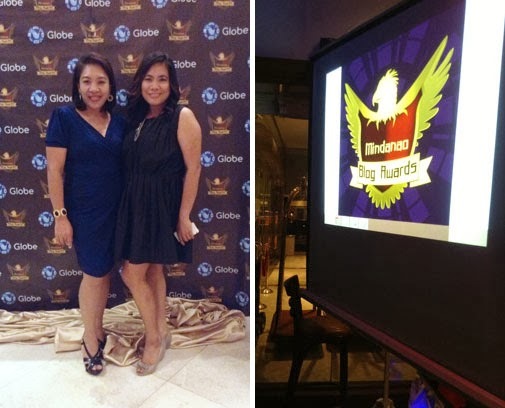 Anyway, I’ve blogged it before that Woman Elan Vital has been nominated and eventually made it to the final list as Best Lifestyle Blog to Mindanao Blog awards 2013, I didn’t win the trophy, Mindanaoan.com won it and I share her joy for bagging the award (See complete list of MBA Winners at www.mindanaoblogawards.com), nonetheless, we’ll work it out next year, what’s important was that I had a great time meeting awesome bloggers from all over Mindanao. And to those who voted for me, daghang salamat! Congratulations Mindanao bloggers! Soar high Mindanao! 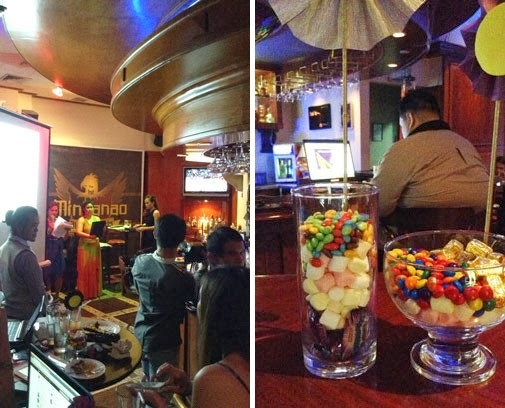 Mindanao Blog Awards Night was held at Eagle's Bar, Marco Polo Hotel Davao on Oct. 26, 2013.